We recently ran into the following situation: a sales person was helping a customer order something online. 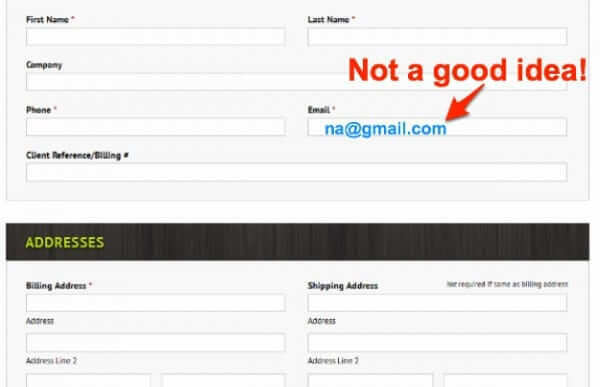 The sales person was filling out the online information, and when it got to “Email address”, instead of asking the customer for their email address, they put “na@gmail.com”, ‘na’ for ‘not applicable’ or ‘not available’. This is a very bad idea.